When the Queen (I mean Lady Balmoral) began to visit Nice, she was 76 years old, short, round and always dressed in black. She would arrive in her own special train, accompanied by close to 100 staff members. These included Scottish soldiers wearing kilts and playing bagpipes and Indian soldiers wearing turbans. 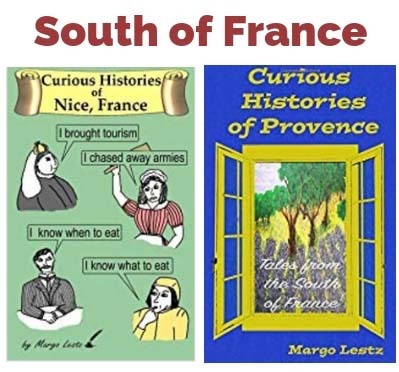 The train carried wagon loads of luggage, not counting the Queen’s bed and other furniture which arrived ahead of her and was already set up in the 80 hotel rooms that she rented in the hills of Cimiez. Also sent in advance were her carriages, horses and a donkey… yes, a donkey. Jacquot (pronounced Jacko) was the donkey the Queen bought on one of her holidays in Provence. She had trouble walking and was frustrated because her carriage was too large to take her down the many intriguing alleyways she wanted to explore. When she saw a peasant with a small cart pulled by a handsome but underfed donkey, she stopped and asked the man how much he had paid for the poor beast. He responded, “100 francs”. The Queen said, “I will give you 200”. The deal was done and travelling behind Jacquot in her little donkey cart became her favourite mode of transportation for short excursions. We can imagine that Jacquot was well fed from then on. He travelled back and forth between England and France with the Queen and even to other European countries. He later retired and spent his last days at Windsor. When in Nice, Victoria would take her full English breakfast (with musical accompaniment) in the hotel garden, weather permitting. After a few hours of paperwork, she would climb into her donkey cart and tootle around the gardens of Cimiez with Jacquot. After the garden visits, queen and donkey would return to the hotel for lunch. After lunch she ventured out further in a larger carriage pulled by horses. She would meander through the hills and along the coast, visiting interesting sites and towns in the area. She stopped to watch games of boules (similar to lawn bowling), attended the gourd festival, the carnival (where she reportedly threw flowers at handsome young soldiers), and attended any other local festivity she happened upon. She exhibited a curiosity about everything that she encountered. 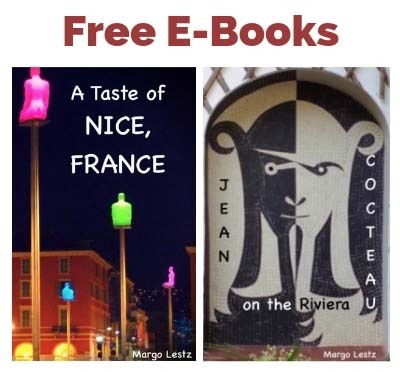 Victoria had wintered in other areas along the Riviera, but once she discovered Nice she kept returning. She spent 5 successive winters in Nice, from 1895-1899. The following winter she had to forgo her Nice holiday because of the controversy surrounding the British actions in the Boer Wars. Then the next year, in 1901, while wintering on the Isle of Wight she took ill and died. It is reported that she said, “If only I was in Nice, I would get better”. The Queen is commemorated in Nice with a statue in front of the Hotel Regina-Excelsior in Cimiez where she stayed. There is also “Avenue Reine Victoria” named for her in the area where she used to ride in her donkey cart in Cimiez. Previous Post: What do you mean, you can’t bring it inside??? Ah – Victoria R… or B? (chuckle) makes me feel my age! Fascinating article of facts and anecdotes, some of which are new to me. Makes you feel your age? You mean 20? Absolutely 20 in many ways, however reference to Victoria veers more immediately towards Regina than Beckham. We spent a month in Nice recently and learned something about Q Victoria’s visits up there in Cimiez. (How glorious the summer Jazz festival must be in the wonderful setting of the parkland. Thanks Phoebe! The idea of packing light hadn’t yet been invented in her day. And there is nothing like having a few of the comforts of home on your holiday! What a lovely bit of history. Thanks for sharing! I love this post – it really made me laugh, especially your caption on Vicky’s photo – and the way you use ‘Vicky’ for this austere-looking woman. Lol! That is the best idea ever!!! I always love these adorable anecdotes! 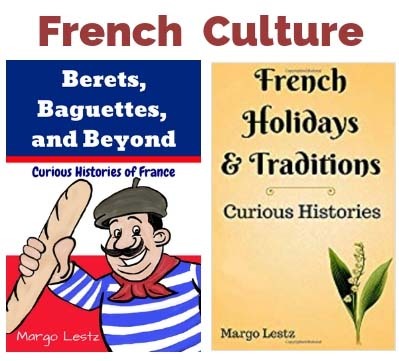 You have one my favorite blogs on the #AllAboutFrance link-up because your posts are super interesting and about things I didn’t know! Thanks for posting! I enjoy following your adventures on your blog too! Yes, it seems she loved the whole area. I don’t think I’ve seen the statue in Menton, I’ll have to look for it.